Sunday 24th March - Bus Trip to Richmond and Surrounds - Contact us for more details. 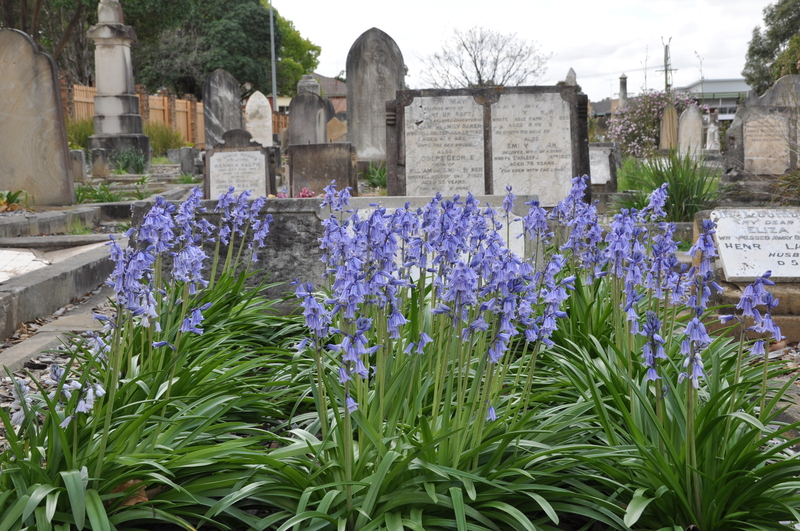 Saturday 27th April - 1pm Public Meeting - A joint meeting of the Parramatta Cemetery Groups will be held at 'Linnwood', 25 Byron Road, Guildford. Contact us for more details. 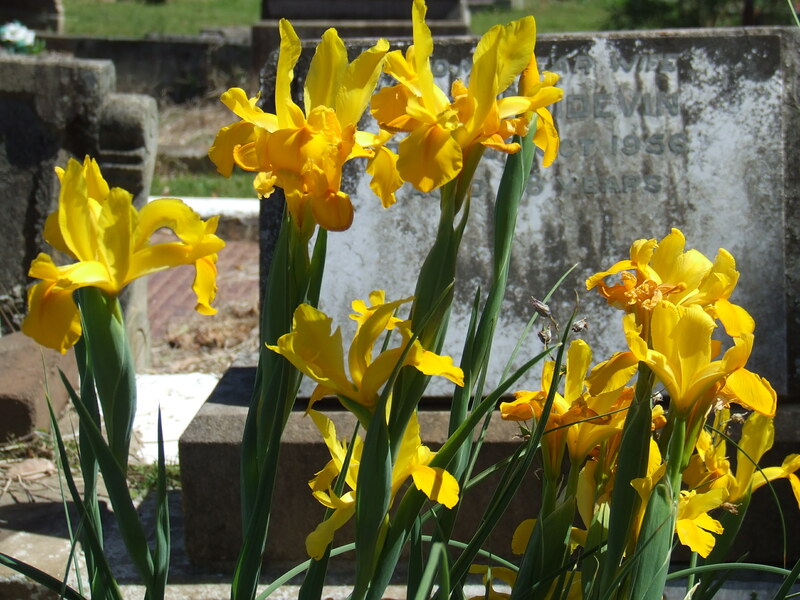 Sunday 28th April - Australian Heritage Festival Cemetery Tour 1.30pm for 2pm start Theme: "Connecting People, Places and the Past"
Sunday 23rd June - from 10am. Weather permitting we will be having a Gardening Day, so bring along your gloves and gardening tools to do some weeding and tidying up in the cemetery. Refreshments provided. Sunday 22nd September - from 10am. Weather permitting we will be having a Gardening Day, so bring along your gloves and gardening tools to do some weeding and tidying up in the cemetery. Refreshments provided. Saturday 19th October - 1pm Public Meeting. Guest Speaker : Loraine Punch, Volunteer Tour Guide and Member of the Friends of Rookwood Inc. The Friends of Mays Hill Cemetery meet at the small hall at the Jones Park complex, corner of Burnett & Landsowne Streets, Merrylands. Copied in part from "The Parramatta Cemeteries - MAYS HILL" by Judith Dunn and published by Parramatta and District Historical Society. The first entry in the Baptist burial register is William Hopkins Carey, buried 25th September 1852 aged 22years. This is curious as he was not buried in Mays Hill but in the Independent section of the Devonshire Street cemetery, now the site of Central Station, Sydney. A memorial service was however, held for him in Parramatta. William Carey was, despite his young age, a highly regarded Minister to the Baptist community and his death was a critical event in the early history of the church. Through a quirk of fate William was eventually re-interred in Mays Hill when Devonshire Street cemetery was demolished to make way for the railway, In this manner his headstone is the oldest in the cemetery but was erected elsewhere first. The earliest memorial to be erected in the Baptist Cemetery records the second burial in the register, Arthur Stapleton, a child of sixteen months who died on 8th December 1853. During 2017 the local government boundaries between the former Holroyd City Council and Parramatta City Councils were altered and Mays Hill Cemetery now lies within the boundary of the new City of Parramatta Council. The cemetery is also cared for by the Friends of Mays Hill Cemetery.